Winston Fisher is a partner at Fisher Brothers, a legendary family-run real estate company that has built dozens of residential and commercial properties along the East Coast —including my own childhood home. 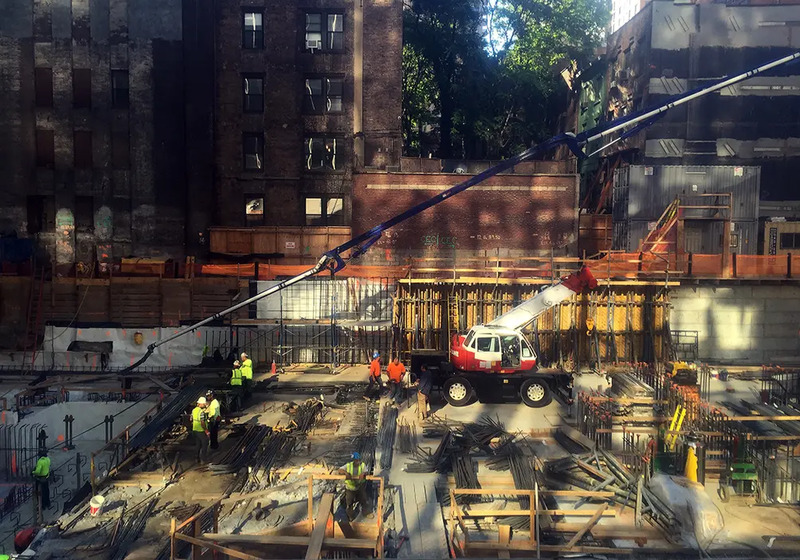 Currently, the firm has several exciting new projects in the pipeline, like their recently topped out Tribeca condo 111 Murray Street. 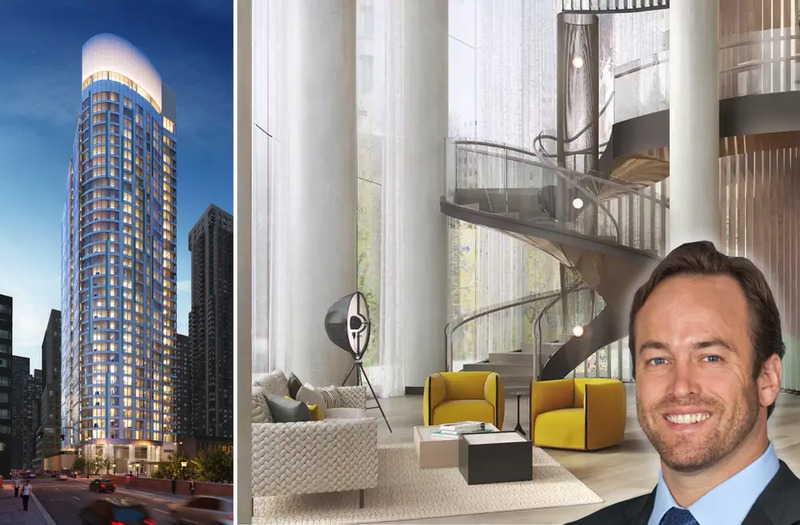 But their latest building to debut is HOUSE39, a 37-story rental tower that intends to be “best in its class” and offer its residents a customized amenity package to serve as extensions of their living rooms. As the head of finance, acquisitions and new development operations, Winston Fisher granted us a quick chat to discuss the concept behind HOUSE39 and its leasing progress. The building is located on a large site at 225 East 39th Street that previously held a grim parking garage partly owned by the company for many years. Positioned at the crossroads of office-heavy Midtown East and residential Murray Hill, Winston tells us that the company was 98% certain that they’d develop residential since there was not a lot of new supply in the area. He says the bigger question was whether the venture would be condo or rental. With the company’s preference to reap long-term value, rentals were decided in the end. 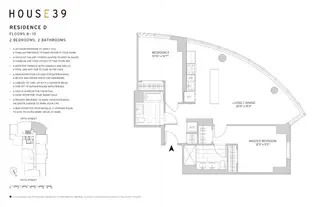 Plans for a new tower first surfaced in 2013 and building permits were filed the year after. Plans specified a 37-story tower with 373 apartments, of which 75 are earmarked as affordable. The finished product presents passersby a shimmering glass façade, a curvaceous corner and a double-height lobby with a spiral staircase, making HOUSE39 appear more like a condo building than the average run-of-the-mill rental tower. 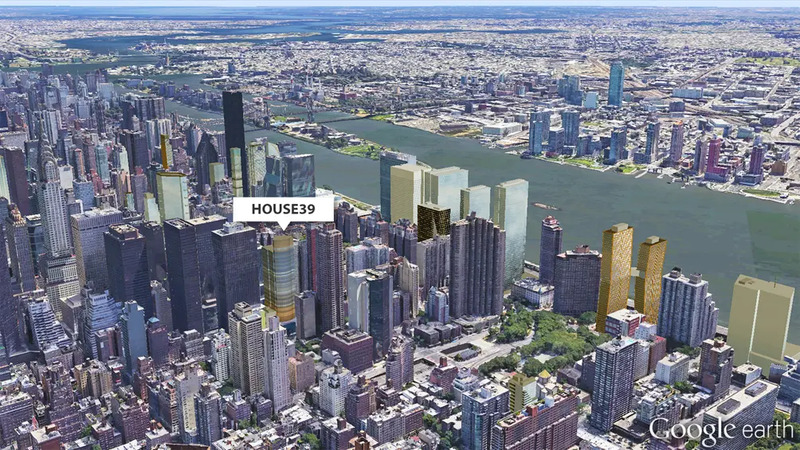 At nearly 400-feet tall many apartments will have views of the Empire State Building, downtown skyline and the East River. Currently renting, with two months free, are studios priced from $2,979, one-bedrooms from $4,269 and two-bedrooms from $5,100. Home features include chef-style kitchens, in-unit laundry and floor-to-ceiling windows equipped with solar shades. Rather than “checking the box” on a contrived list of amenities, HOUSE39’s services were methodically curated by first paying attention to what the competition was offering and by looking into other building types.Winston says they looked at what the hotel sector was doing, and seeing how co-working space and college dorms are being built today. The building’s great many amenities include a roof deck with 4 private cabanas and BBQ stations, an outdoor movie screen, indoor/outdoor pool, a fireplace, bocce ball, shuffleboard, a photo booth, a live-in superintendent, a children’s playroom, a library, a fitness center, and a courtyard garden. Additionally, the building has a dedicated lifestyle manager who will facilitate cooking demonstrations, charity drives, parties and showcase local retailers to tenants. According to Winston, the building is already one-third rented since kicking off leasing in February. The building has appealed to a wide cross-section of locals that includes families who work in the area to graduate student. The building is now open for immediate occupancy.